The sleek ASUS ZenBook Flip 15 is a hybrid for professionals who desire superb performance and versatility. The convertible offers latest generation Intel Core i series processor, ample RAM, and ‘gaming-grade’ graphics. ASUS says this 2-in-1 is the ‘most elegant and sophisticated yet.’ While most people will be quick to dismiss that claim, the ASUS ZenBook Flip 15 does look good. It boasts a robust aluminium chassis with a scratch resistant finish. ASUS ZenBook Flip 15 has a 360-degree hinge that lets you flip it all the way back to use as a tablet. This features sturdy alloy steel. A 15.6-inch NanoEdge display with Full HD resolution promises great visuals. It offers 178-degree wide viewing angles, making it great for viewing content with friends. There is optional 4K UHD display as well. This machine is one that professionals may find perfect for their needs. It offers latest, 8th generation processor (up to Core i7) for awesome performance. This comes with up to 16 GB of RAM for what looks to be seamless multitasking. The ASUS ZenBook Flip 15 promises amazing gaming performance with the provision of latest NVIDIA discrete graphics. Its maker says you can get up to the latest MX150 graphics card for enough punch to handle graphics intensive games and applications. ASUS ZenBook Flip 15 boasts fingerprint scanning support for better security. Windows 10 hybrid offers highly responsive solid state storage of up to 512GB capacity. A ‘smart two-channel amplifier’ powers its speakers. The audio prowess of Harman Kardon is also on show on this one, so immersive sound looks likely. For connectivity, the ASUS ZenBook Flip 15 comes with a super fast USB 3.1 Type-C port as well as USB 3.0 and HDMI ports. The hybrid features faster, dual-band Wi-Fi 802.11ac tech offering speeds of up to 867 Mbps. You get a highly sensitive keyboard, which offers a key travel of 1.4mm. Pricing has not been revealed for the ASUS ZenBook Flip 15. We do not have official price or availability for Nigeria, Ghana, and Kenya for now. When available, you should be able to buy the laptop at leading online stores in the countries. ASUS ZenBook Flip 15 Price in Nigeria is expected to range from 260,000 Naira to 390,000 Naira depending on the model. 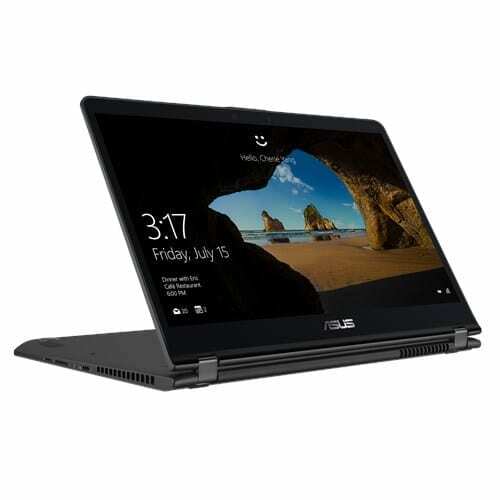 ASUS ZenBook Flip 15 Specs and Price was last modified: September 25th, 2017. Naijatechguide.